The Original Venice Crew (OVC), which builds the official continuation 1965 Ford Shelby G.T.350 Competition Model, will offer only two of the Bondurant edition models of the classic sports car. Only one Bondurant edition car with a 9-inch fixed axle rear end and another with the pioneering IRS system will be available. 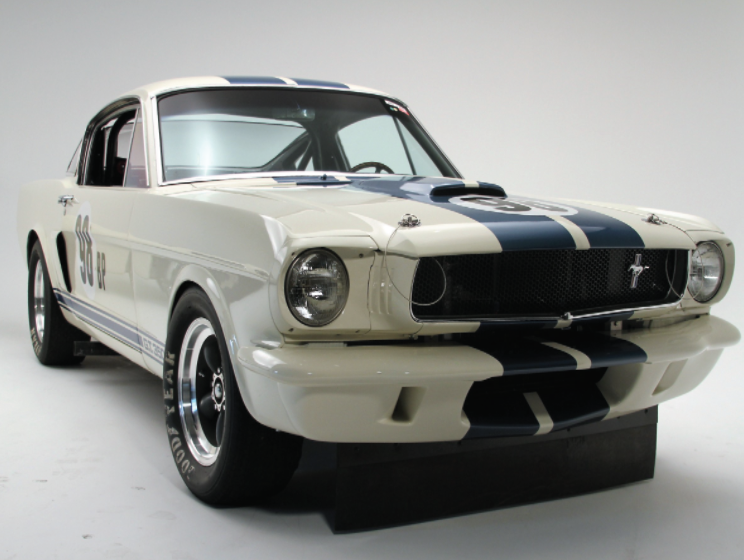 Shelby GT350s were true track stars, dominating their class across North America and Europe. Today, first generation Shelby GT350’s star at events like Le Mans Classic and Goodwood with their powerful motors, bellowing exhaust note and reliable chassis. The Bondurant edition car will be a prototype version of the 1965 Shelby G.T.350. The team will leave out refinements like the package tray and quarter windows in order to duplicate the configuration when Bondurant lapped Willow Springs Raceway to develop the car. Special Bondurant graphics will be painted on the cars and the legend will sign the two Shelbys on the dash, etc. The only difference between the cars will be the optional independent rear suspension available on one of the cars that was intended to be raced, but never went into production for the 1965 season. Bondurant dominated SCCA racing as a driver in the Corvette from 1959-63. 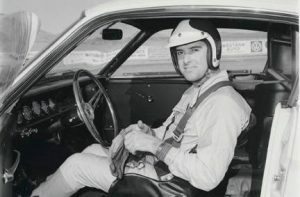 As Shelby American’s number one driver for the 1965 season, his seven victories piloting both Shelby Cobra roadsters and Daytona Coupes earned the team the FIA GT World Championship. The following year, he drove for Ferrari’s F1 team. When his racing career was cut short due to a tragic racing incident, Bondurant opened his school in California upon his full recovery. He moved the school to Arizona in 1990. OVC began with former Shelby American employees Peter Brock, Jim Marietta and Ted Sutton, who worked on many key projects at Carroll Shelby’s Princeton Drive facility in 1965, including the first Competition Model, (“R-Model” Shelby GT350, 5R002). Brock designed key features for the continuation car when Marietta and Sutton formed the “Original Venice Crew” in 2015. Sutton installed the first 427 into a Shelby Cobra and helped create the prototype Daytona Coupe and Sunbeam Tiger while at Shelby American in the 1960s. OVC will assemble the cars at the Shelby facility in Southern California, just as Carroll Shelby and the racers did in 1965. Each OVC built Shelby GT350 Competition Model begins with the same “K Code” Mustang, originally equipped with a High-Po 289 c.i.d. engine and a Borg Warner 4-speed that was the basis for the GT 350’s. The Bondurant edition cars will feature an engine supplied by the Carroll Shelby Engine Company coupled to a period correct 4-speed transmission and authentic Shelby shifter. OVC has licenses from Carroll Shelby Licensing and Ford Motor Company to build a run of 36 of the 1965 Shelby GT350 competition cars. OVC is the only company with this dual authority. The car bodies are fully reconditioned and built to American “competition” specs. Customers can choose between the traditional 9-inch fixed rear end or independent rear suspension. The cars start at just US$275,000. The sports cars will receive a Shelby serial number. Documentation is submitted to the Shelby American Automobile Club Registry, as well as the official Shelby American Registry administered by Carroll Shelby International. Those interested in a Shelby from OVC can call (714) 305-8578. Additional information is available at www.ovcmustangs.com.